Was it only a decade ago that the leader of the opposition stood before TV cameras in Ottawa to offer the very wise bit of advice that “the government that governs least governs best”? Minimal government translates to a comparatively small public service, minimal government expenditures, privately run social programs and an economy that is free from state economic regulation. Governments that expand their scope and reach into all possible areas of economic and social activity, on the other hand, employ massive numbers of people in the public service and incur massive budgetary expenditures that increase the tax burden on citizens and businesses. As governments increase in size and expand the scope of governance into areas that were previously the domain of citizens’ choices, they seek the service of trusted and highly qualified “experts” for guidance. 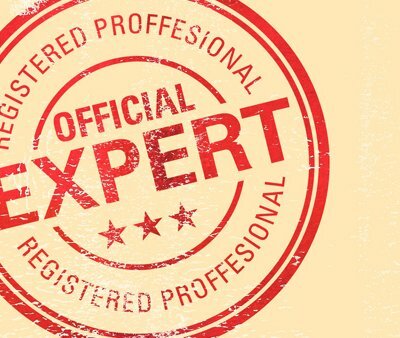 Quite often, these experts are academics or people who hold doctorate level degrees. The theory of engaging the guidance and expertise of a doctoral level expert enhances the image that the government is sincere in its efforts to provide the best possible service to the public. But the long-term record of highly qualified experts in government service is less than stellar. The province of Ontario had over a several years employed a highly respected physician as a coroner who on the basis of his expertise was on occasion consulted as an expert witness in child abuse cases. Many adults who were accused of child abuse were convicted on the basis of his expert assessments. But some defense attorneys began to question the expertise of this government expert by hiring other physicians to reassess the evidence in order to gain a second opinion. Only then did it become obvious that the government’s expert was not really such an expert. As a result, many people who had been wrongly incarcerated were released from prison. Rather than an isolated incident, the Ontario case may be the tip of the iceberg of a long legacy of government experts having caused upheavals in the lives of innocent citizens by providing flawed expert advice to government agencies. It was on the basis of expert advice to government that thousands of First Nations children were forcibly removed from their families and placed in residential boarding schools, for instance. The government’s intention was to assimilate First Nations children into Western society. The long-term result of compulsory attendance at residential schools was a legacy of child abuse, emotional trauma and broken lives, whatever the good intentions that might have launched the program. Prior to WWII, the Nazi government of Germany introduced government run childcare centres, staffed by trained nurses and other highly qualified personnel who were to guide the education and development of the children of the “master race.” As young adults, most of the products of Germany’s state child rearing centres led self-destructive lives that included alcoholism and drug abuse. In 1953, a Canadian Royal Commission on native affairs heard from experts who suggested that “transplanting first nations people into the Arctic and leaving them in isolation, would encourage them to revert to their traditional lifestyle.” South Africa’s then-minister of native affairs welcomed the findings and lavishly praised the insight behind the commission’s findings. But over the long term, the program resulted in hunger and starvation in the Arctic, as very few transplanted people adapted to living in harsh northern conditions. In apartheid-era South Africa, transplanted people living in the black homelands similarly suffered hunger, malnutrition and starvation. In matters that pertain to the economy, the majority of experts present governments with policy schemes as to how government may “better manage the economy.” The legacy has included massive government investment into the information, telecommunications and high-technology sectors of the economy. During the early 1990s, that sector boomed with growth and expansion, before it culminated in a massive meltdown by the year 2000, leaving thousands of people who were highly qualified in information sector technology unemployed. The boom and bust in the American housing market was another ill-conceived scheme intended to revive a sluggish economy. Within the past decade, Ontario’s former premier proposed to “grow the economy by investing in winners” and experts were going to select the winners in the economy. At the present time, federal and provincial governments administer programs that “invest” money into developing new technology in the hope that the market would purchase large numbers of the technology so as to justify the development of a factory that will employ skilled personnel and pay them high wages. The program that invests state money into the development of innovative new technology repeats the investment strategy of the early high-technology boom years. While government aims its technology development program at innovative, bold, never-before-seen technologies, large numbers of private entrepreneurial types make minor adjustments to existing technology to make it more versatile and perform slightly different tasks. While private sector entrepreneurs may have great success in privately funded evolutionary advancement of existing technology, such an approach is of little or no interest to people who administer government programs intended to invest into developing new technology. The result is the track record of “market” failure of many technologies that during their initial development depended on government funding. The program of governments seeking expert advice to guide the formulation and development of a wide range of programs provides employment opportunities mainly for candidates who hold doctoral level degrees. Over the very short term, the approach seems credible with the written, oral or audio-visual presentations of the expert advice actually inspiring and astounding audiences. The expertise seems so very obvious and presented with such impeccable clarity. But over the long term, government implementation of the expert advice reveals previously unforeseen shortcomings such that economies collapse or people’s lives are ruined as a result of the expert advice.